“I realized that courage is not the absence of fear, but the triumph over it. A brave man is not the one who is not afraid, but the one who conquers it.” -Nelson Mandela. It was just about a few months ago that we came across the extraordinary case of the very brave teacher who, while in the presence of a shooter at the school she teaches, made the wise decision of hiding her children in a cupboard only to be later shot dead when confronted by the shooter. Stories of bravery and courage are not not only stories we are awed by but also stories that we must learn from, as they speak volumes about the people so courageously putting their lives at risk. It is because they take these actions, life changing decisions that one of us wouldn’t normally have, or even if we would have, would have thought, later decided against because it posed a threat or risk to ourselves or immediately dissed the idea since we came to the conclusion that we didn’t owe the person anything. Its why it takes courage to appreciate the courage of a person since it would only be possible after if we realize that there still are many selfless people out there and to realize their importance, all we need to do is to simply put ourselves in their shoes and walk the drastic steps they have, to help someone in need. 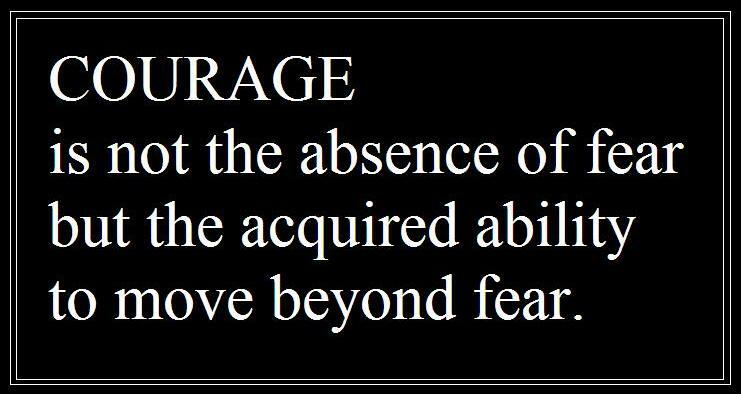 It’s true, a little bit of courage can go a long way. It is remembered by people, you are honored, your family is applauded and your friends are happy. But what’s matters most is that feeling you get. That feeling of achieving something. Something for yourself. Something that you were brave enough to do for another soul. Another soul who will forever be grateful to you. To just know that you did a selfless thing and it’ll stay with you for a long time is why it’ll go a long way. For you. Maybe its true, some birds aren’t meant to be caged. Their feathers are too bright, and part of you knows it was a sin to lock them up. ← Previous Story Why our lives are incomplete without sadness. herro its me i’ve been wandering if you wanted to SMOKE WEED EVERYDAY !!!!!!!!!!!!!! !